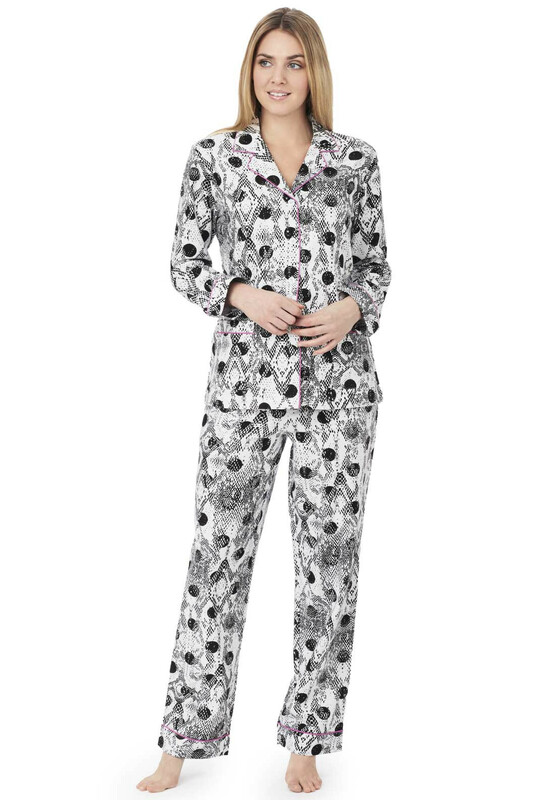 An excellent present for someone special or a treat for yourself, this stylish pyjama set from DKNY is packaged in a branded gift box. The pyjama top is designed with long sleeves and crafted from brushed cotton rich fabric which is soft against the skin. Featuring a monochrome print throughout with pink trim, full button placket and turn down collar. The matching long leg pyjama bottoms have an elasticated waistband with drawstring cord.